1. When you’re out in the world, you’re probably not going to be starting conversations with strangers. 2. Generally, you’re always happy to meet new people, but you’ll probably be uncomfortable if you have to do it without any of your existing friends with you. 3. When a topic of interest comes up in conversation, you’re more than happy to talk in great detail about it. 4. But as soon as that’s done, you’ll happily sit listening to the conversation without saying another word. 9. When you see things written about being an introvert, you start to relate…but then discover that you relate to the extrovert ones as well. 10. 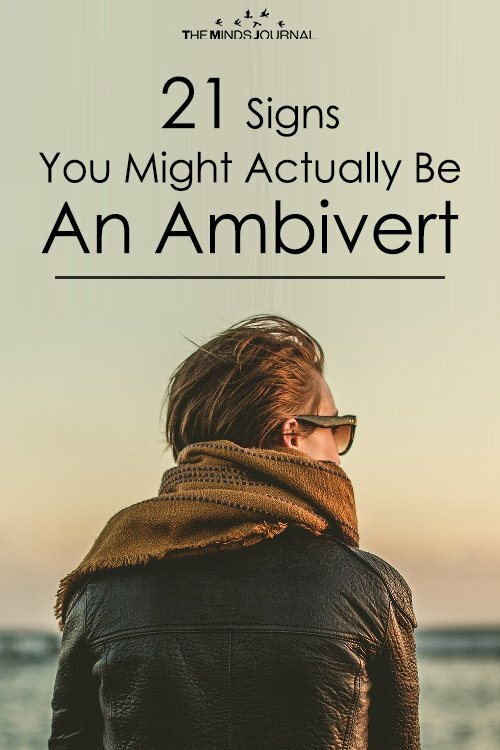 In fact, your friends disagreeing about whether you’re an introvert or an extrovert is probably a very good sign you’re an ambivert. 14. And some of the best weekends of your life have been when you didn’t go home for three days. 15. Thinking before you speak isn’t a problem for you…most of the time. 16. You have a tendency to balance out whoever you’re with – if you’re with someone loud, you’ll be quieter. If they’re quiet, you’ll compensate for that. 17. You’re known to be quite intuitive and good at picking up signals that other people can miss. 18. Often, you just find yourself observing what’s happening around you. 19. And at other times, you’ll be getting involved in the moment. 20. So in the right context, you love attention, but more often than not, you don’t want to be the person everyone is looking at. 21. So if you can’t figure out whether you’re an introvert or an extrovert, maybe it’s because you’re actually an ambivert! 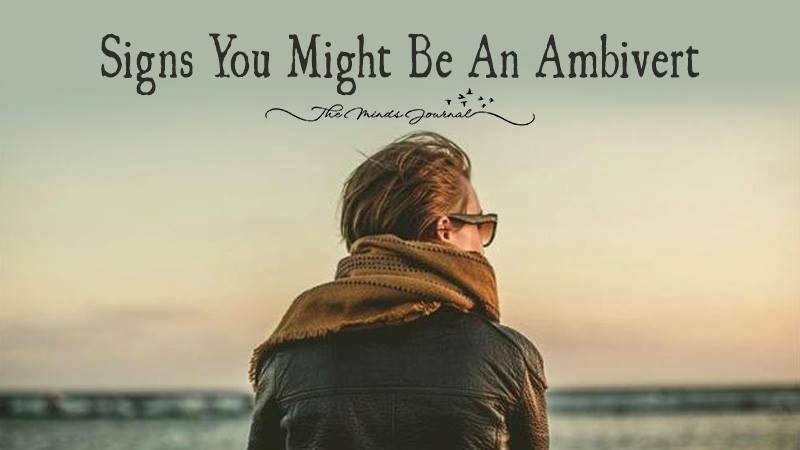 All are ambiverts it is impossible not to be . the true sons of god will live forever. And yes thats me too — almost spot on !!!!!!! Michael Lydiate this is me to a tee!